Nothing makes a better gift than a gift that is personalized and is an item that women use on a daily basis...like a wallet! Those are the kinds of gifts you can get from Thirty One Gifts! They are a wonderful company that offers a large assortment of items from bags, totes, organizers, wallets & more that can be personalized & customized! 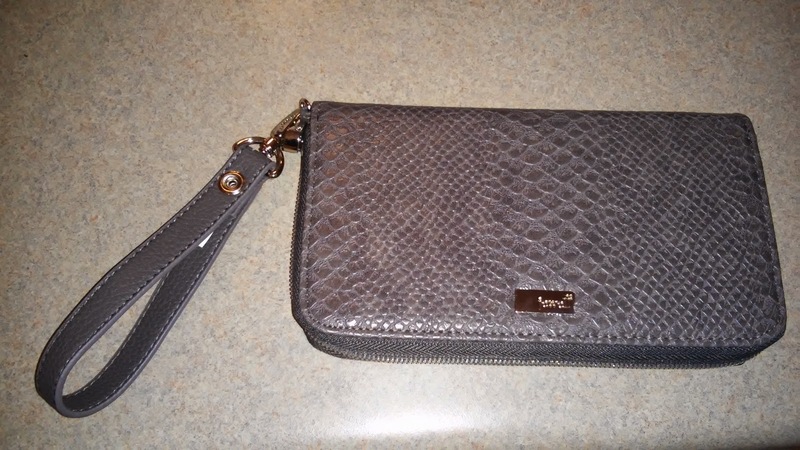 I worked with Janet Byers, a great consultant with Thirty One Gifts and I got to receive a really nice wallet that I absolutely LOVE! I received the All About the Benjamins wallet with a wrist strap in City Charcoal Snake and it is by far the best wallet I have ever used! This stylish wallet will help you keep everything in its place! With 13 interior credit card pockets, an ID window for a picture ID, and an interior flat pocket for bills, you’ll be organized no matter where the day takes you. It also has a D-ring for a Wristlet Strap attachment. I really like all the credit card spaces there are for all my credit cards, gift cards and membership cards. It is the only wallet I have ever had that had room for all my cards! Plus, it has the great license card spot! Make sure to check out all the great items available from Thirty One Gifts and fill out this brief survey: www.surveymonkey.com/s/MJS5W8Z if you want more info about Thirty One gifts. You can purchase the All About The Benjamins Wallet for $48 from Thirty One Gifts website. 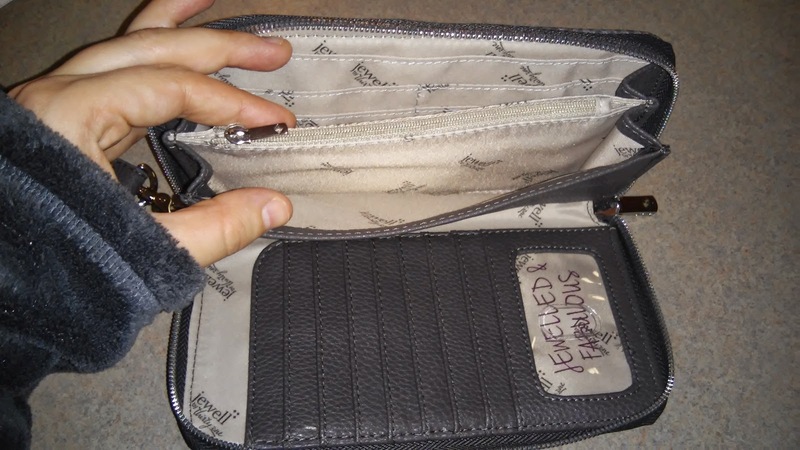 Janet Byers from Thirty One Gifts is generously offering (1) All About The Benjamins Wallet in the print of their choice along with a Wristlet Strap to a lucky winner!